21 September 2017, New Delhi: The Diwali festival is generally preceded by festive buying with retailers and manufacturers stocking up as consumers spending is high during this period. This year the consumer sentiment is muted and there is unlikely to be a major surge in festival buying this year. 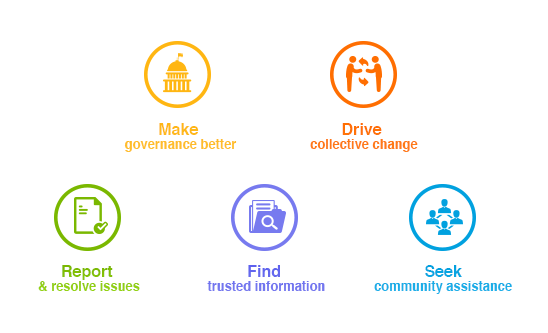 This comes out from a survey done by LocalCircles, India’s largest engagement platform. 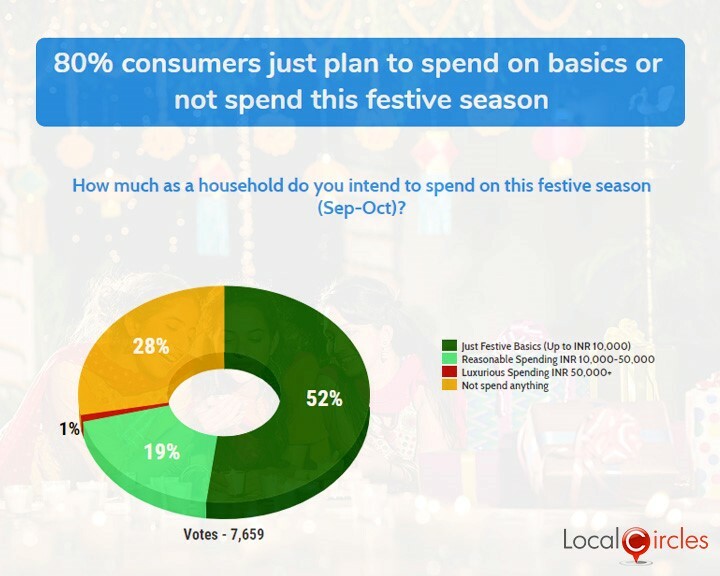 Around 52 % of the 7659 citizens polled say that the they will be buying the festival basics and their spending maybe limited to Rs 10,000 during the festive season. 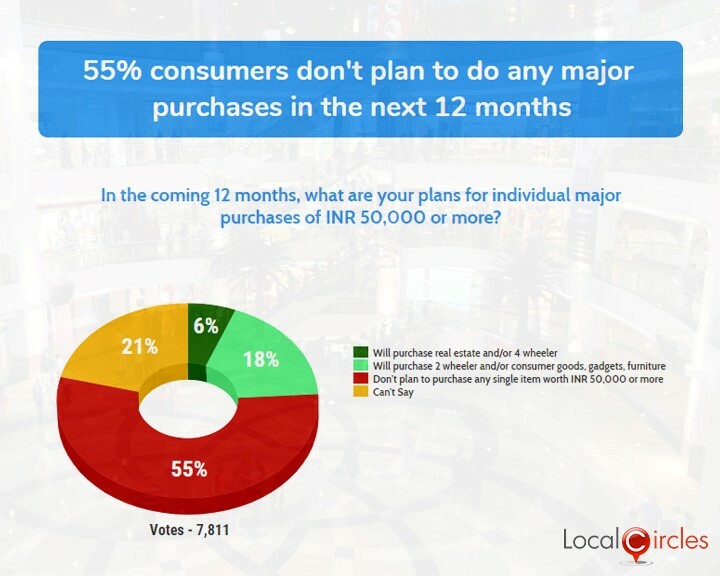 But surprisingly 28% of the consumers say that they will not be spending anything. This is a substantial portion of the middle class which is not spending during the festival season. Another 19% say they will be making a reasonable spending of Rs 10,000 to Rs 50,000. These 19% of the middle class is what the retailers and manufacturers are expecting will give a boost to the buying during the festive season. The festive season is also an occasion to make large purchases as it is considered an auspicious period. But due to the muted sentiment almost 55% of the consumer polled said not only ware they not considering any major purchase now. But even for the next 12 months they do not contemplate buying high value items of more than Rs 50,000. Around 18% said they will buy a two-wheeler, consumer durable or other high value item over the next 12 months. The reason for the mute sentiment among a section of the population could be that people do not expect a substantial rise in their salaries in the coming months. Around 31 % citizens expect a salary hike of more than 15% this year. 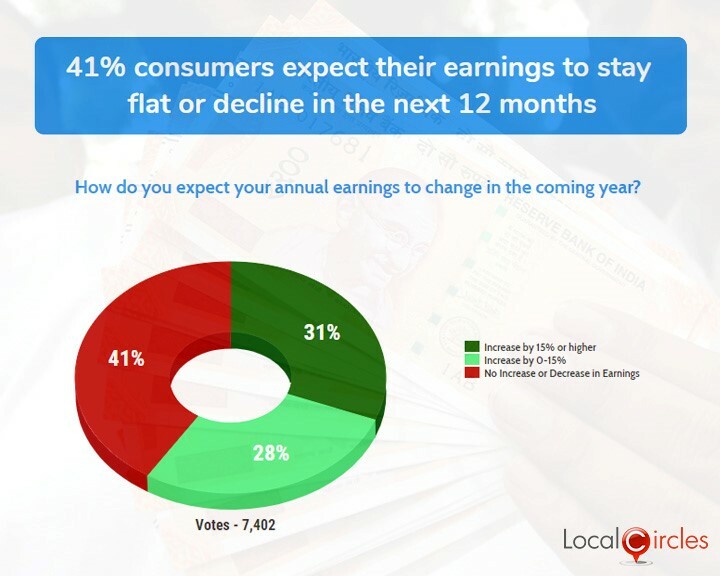 While 28% expect it to be between 0-15% but 41% do not expect any salary hike in the coming 12 months. The sentiment towards higher spending may have been affected by people who do not see any salary hike. Typically, the average salary hike across industries is 8% to 9%.